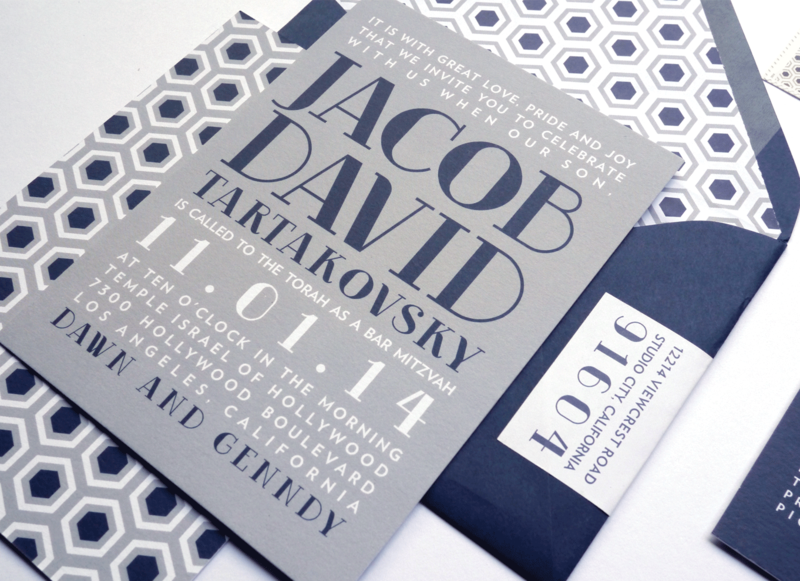 This seriously stylish Bar Mitzvah invitation features modern typography and a geometric hexagon pattern. 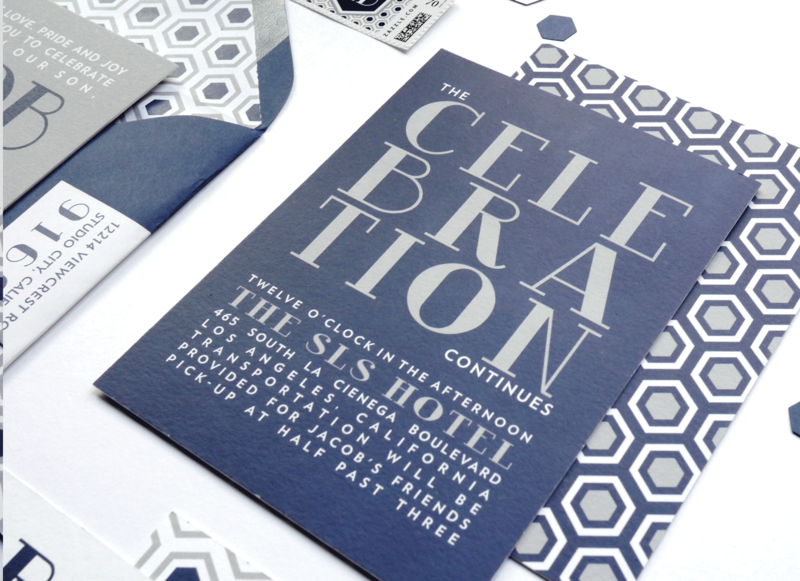 Printed front and back, each piece has a variation of the pattern in the navy and grey color scheme. 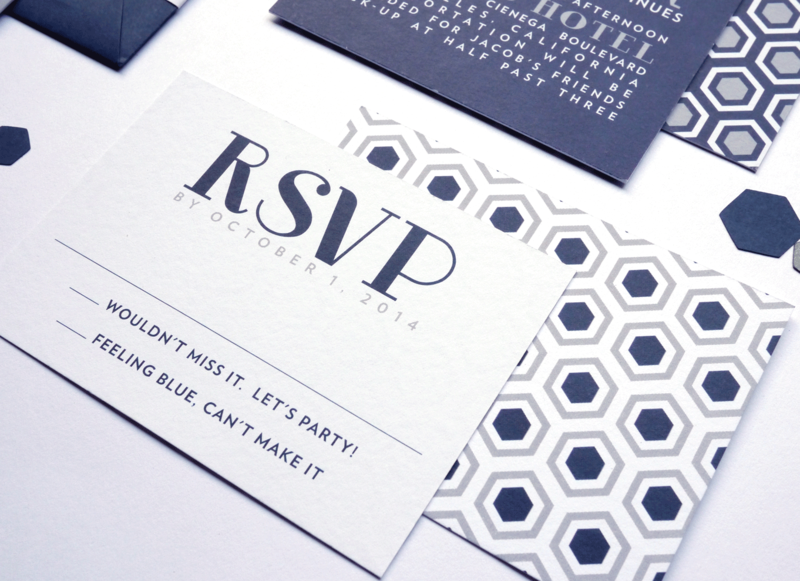 Flat printed on double thick white cotton card stock. 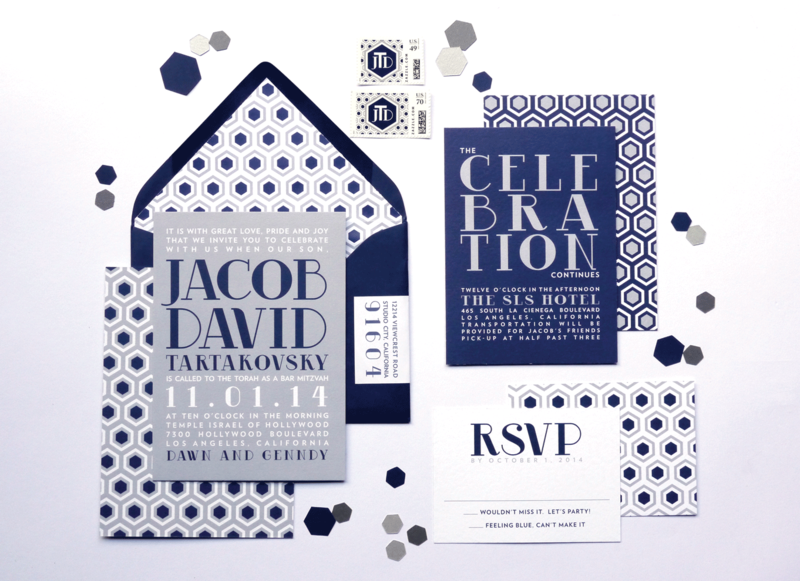 This bar mitzvah suite included an invitation, envelope with custom printed liner and wrap around mailing label, rsvp set and celebration card. Finished with custom stamps.